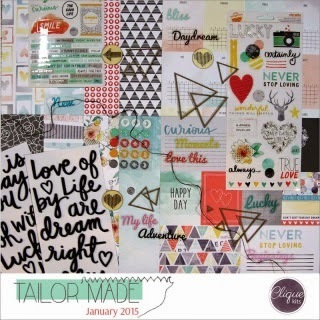 Today I have a new layout to share for Clique Kits, featuring the January Tailor Made kit with Amy Tangerine's Stitch collection and additions from Chic Tags, Maya Road and Creative Embellishments. 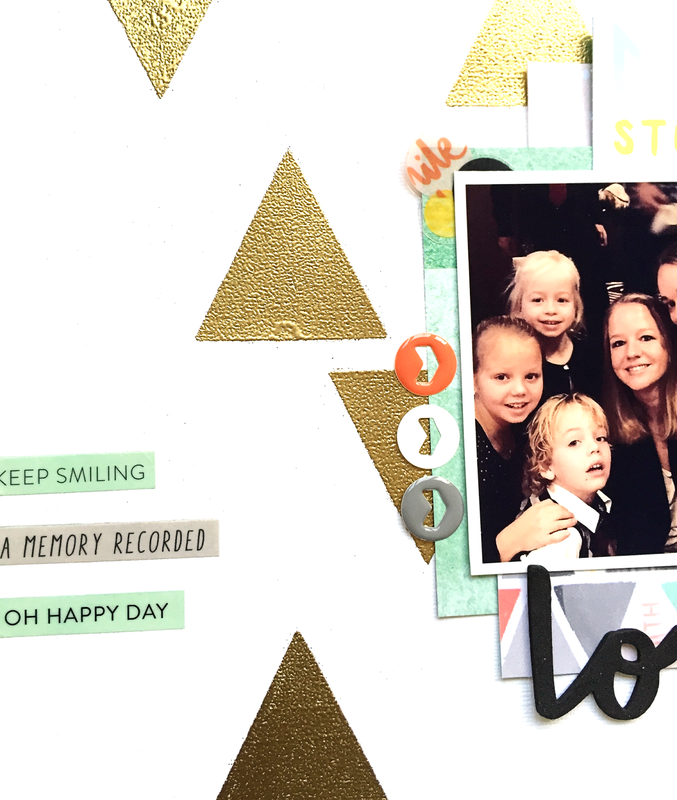 For this layout I created my own background with the triangle background cut file that came with the January kit. I used it as a mask with gold embossing powder. 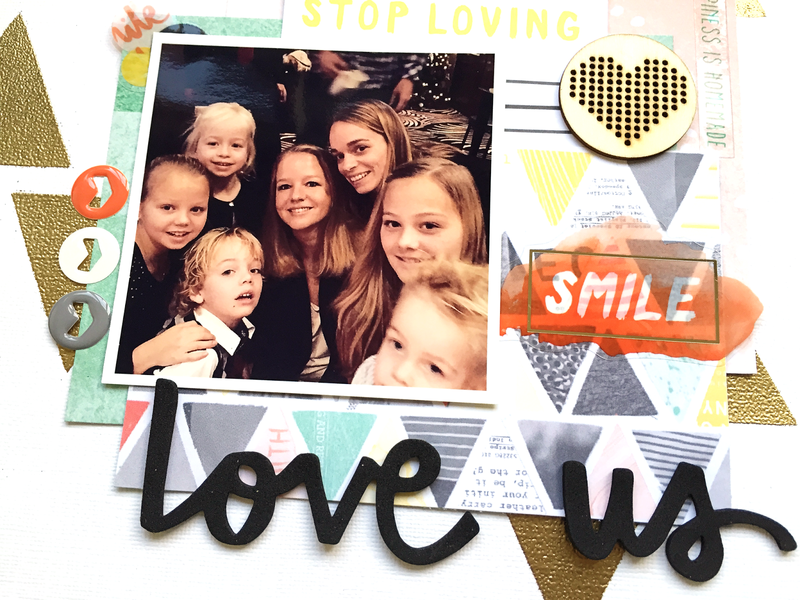 Overhere on the Clique Kits blog you can see how I made it. This layout is about our family Christmas brunch on Christmas Day. As you can see, I always have the most fun at the kids table. We laugh a lot, make fun and bake cookies in the cookie corner. 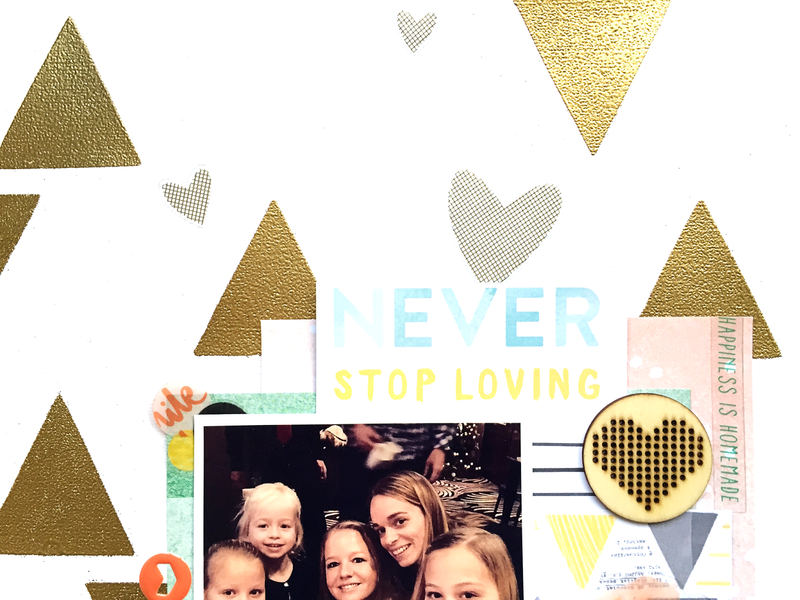 I just love the pops of gold on your layout!!! Awesome layout Danielle!! I love those Gold Triangles! !